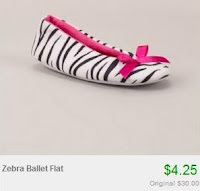 Girl's Slippers from $4.25 + Possible Free Shipping! Wow, head over to Totsy and check out their girl's slipper sale to find lots of cute pair starting at just $4.25! In fact, nothing is over $4.75! Even better, if this is your first order within 30 days of creating your account, you'll get free shipping!